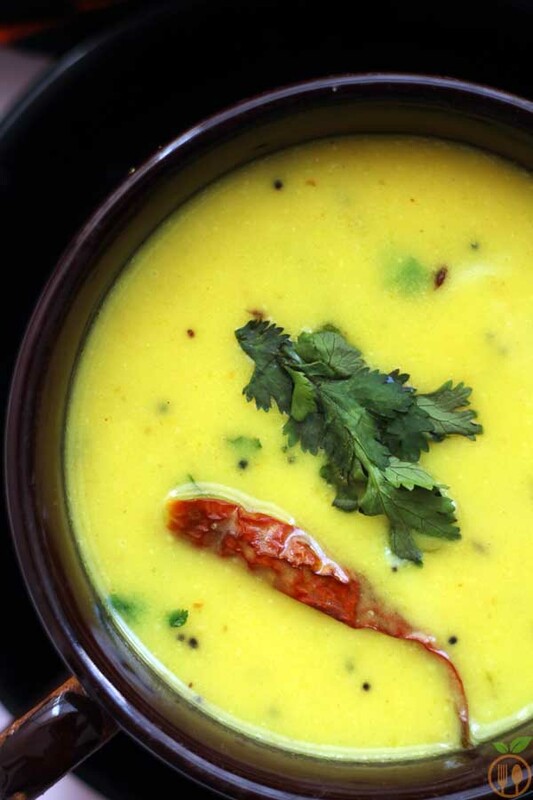 Mainly Kadhi recipe contains yogurt and chickpea flour or gram flour. 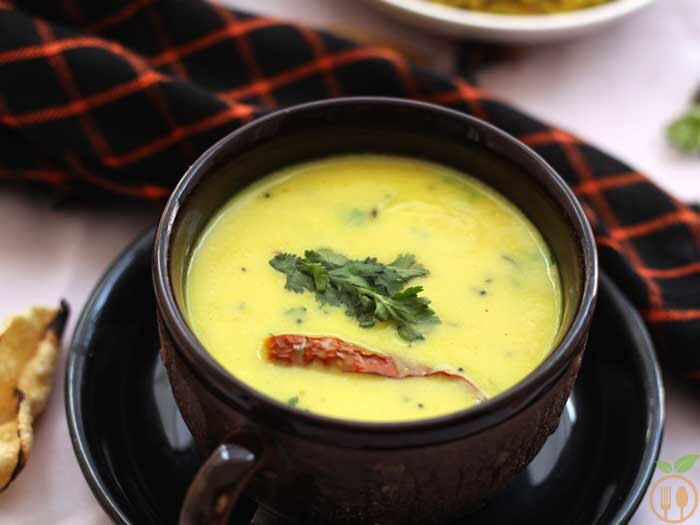 The sourness of kadhi recipe is based on the curd or yogurt that you are using for it. 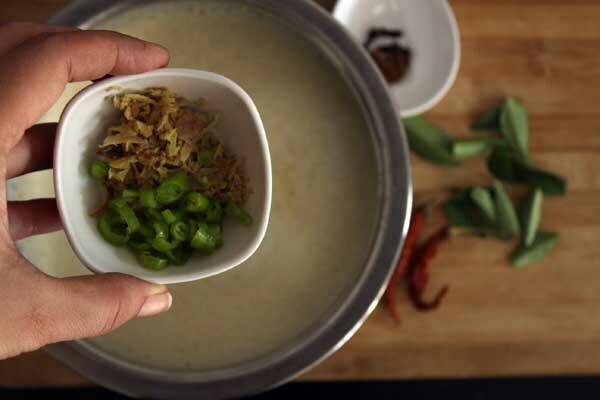 Tadka or tempering is belongs to which part of Indian the kadhi recipe belongs. 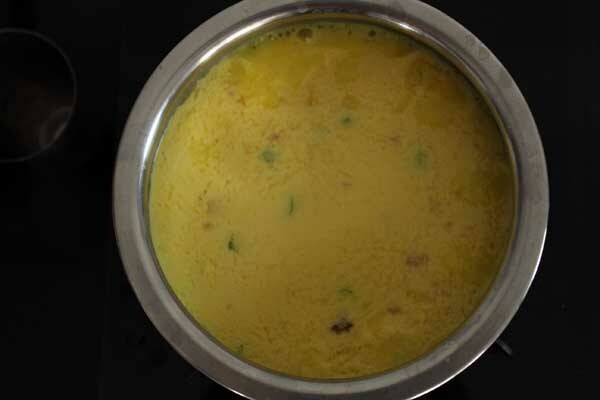 The base is curd and gram flour, Gujarati kadhi recipe has small amount of gram flour used compare to others. 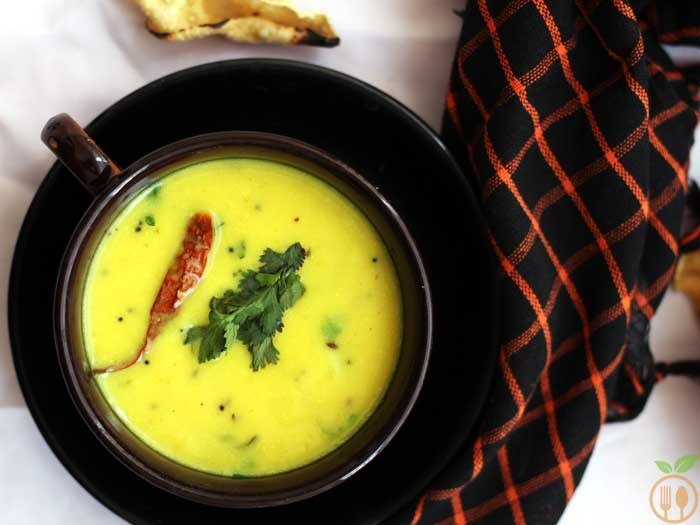 Gujarati kadhi is like watery or more liquidly texture rather than others. And most important is yogurt must be sour. We always use sour curd to make it more sweet and sour. 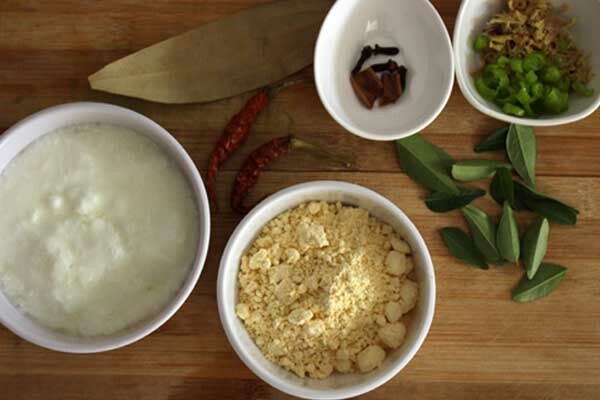 How to make curd or yogurt sourer? 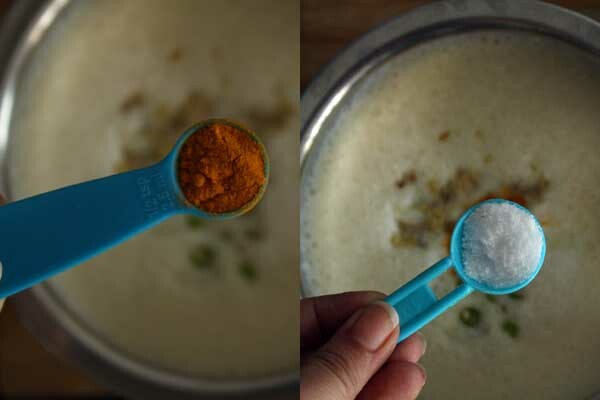 If you are using package of thick yogurt or Greek yogurt, you can add some lime juice into kadhi to make it more tangy. But you are using homemade curd then put curd outside the fridge, at some warm place for 2-3 hour, it will become sour and you will have sour taste in your kadhi recipe. these kadhi recipe is without onion and garlic which is the mejout difference between pujabi kadhi and Gujarati kdahi. You know one secret??? 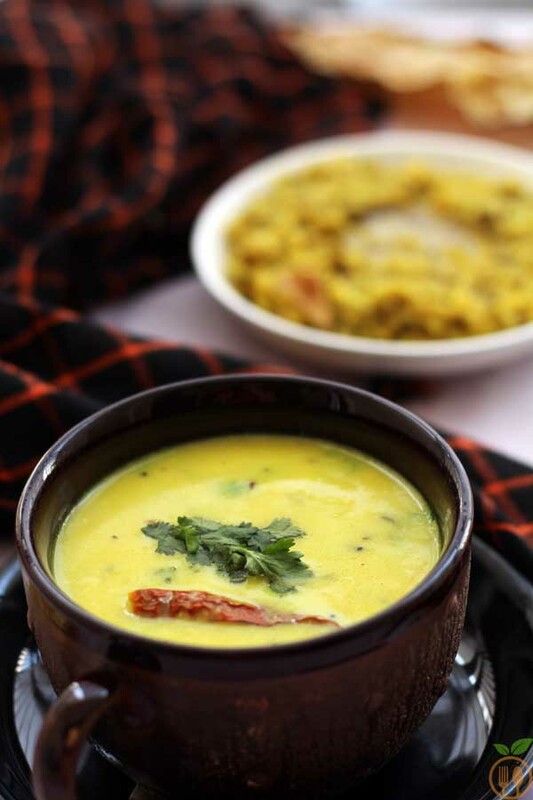 When Barack Obama visited India, Gujarat, This Gujarati kadhi was served with some traditional khichdi, and liked it also. when I get flue, especially in winter, I daily make this kadhi and have hot bowl of it without any side. this really helps to reduce flue and make you warm during winter as it has basic ayurvedic elements like turmeric, ginger, cinnamon, curry leaves which helps to get rid of cough and cold. You can fine more winter soup recipes like Red Lentil soup in here. Then make mixture of curd and besan(gram flour) using blender. Time add all ginger chili and other more spice before cooking it. Now heat the mixture at medium flame, and bring to the boil. Now put it aside while you are doing tempering. 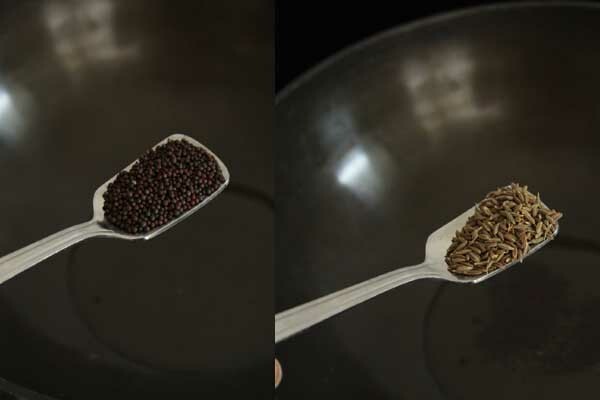 For tempering, Take (only) ghee or butter and add cumin and mustard seeds. Most important is hing or asafoetida. pinch of it, but it makes difference. 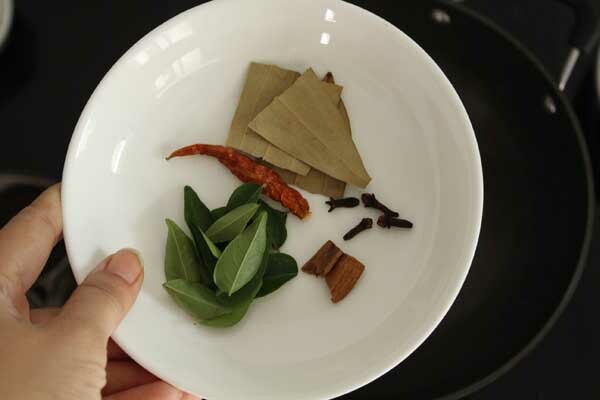 Now add dry spices like curry leaves, dry chili, bay leaf, cinnamon, cloves. Then add that boiled mixture into tempering, and let it simmer on law to medium flame for atleast 5 minutes. And Gujarati kadhi is ready to serve. When you heat the curd and gram flour mixture, stir it continuously otherwise the flour will stick at bottom. Let it boil, for 2-3 times at least. It may take 5-10 minutes. Then add ginger and green chili into it, also add salt and turmeric powder into it. Put that mixture on gas and start stirring it. Now bring it to boil on medium heat. let it simmer for 5-8 minutes. 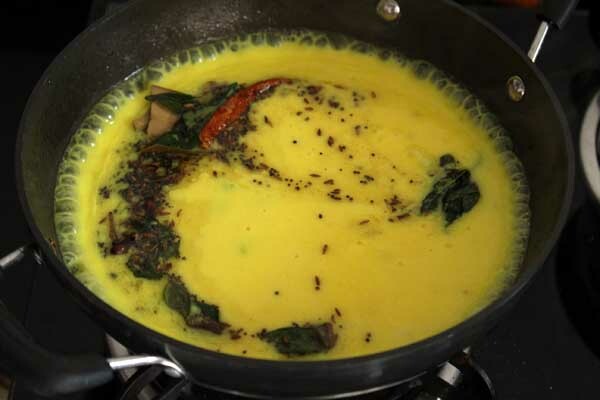 Take heavy bottom pan and start to make tadka or tempering for kadhi recipe. 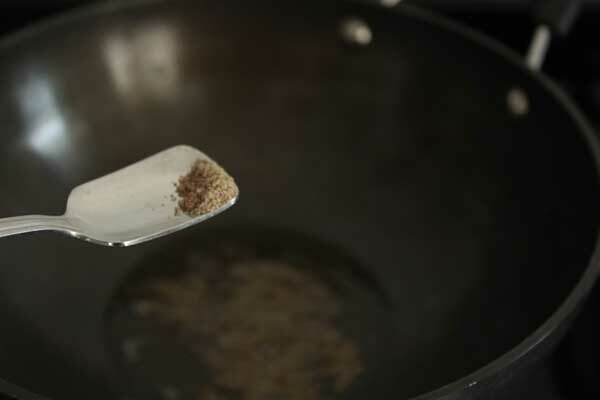 Heat the ghee into pan; add mustard seeds, cumin seeds, asafoetida. 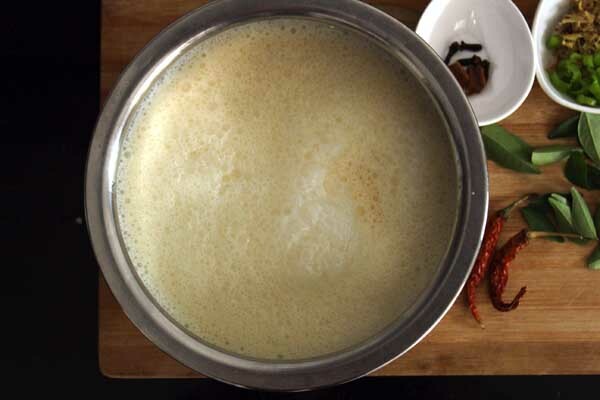 now again add clove, cinnamon, curry leaves, dry red chilies and bay leaves, give a stir and immediately add boiled kadhi mixture. 1) You can server it as soup during winter. 2) It goes perfect with khichdi or rice. 3) If you have flue, this is the best soup recipe which cure the flue fast. Add more ginger in that case.